Are you the same person that you were when you woke up this morning? How many times has your mood or feelings changed since you first arose from sleep? You think that you have been the same "I" throughout the day, but you have not. You have been many "I's" today. How can that be, you may say? Allow me to explain. G.I. Gurdjieff was a Russian philosopher and mystic who developed what eventually came to be known as the Fourth Way. The Fourth Way is a system for self-realization or self-development. What I find appealing about the Fourth Way is that he intended this system to be for the everyday person living in the world. The Fourth Way is a method to self-discovery that doesn't require living in a cave or becoming a monk. However, it can be a confusing system to grasp. As you grapple with the concepts, it stirs the unconscious and brings forth new insights. At least that has been my experience. The central aspect of his teachings that is that we are all mostly asleep during our existence. Gurdjieff taught that most humans do not possess a unified mind-emotion-body consciousness and thus live their lives in a state of hypnotic "waking sleep," but that it is possible to transcend to a higher state of consciousness and achieve full human potential. An important component of that unawareness is that we have many “I’s” within us. Gurdjieff believed that we all have a fragmented psyche. Not enough that we would require mental health treatment, but enough that we do not know ourselves and the “I’s” contradict themselves. I think, I want, I know best, I prefer, I am happy, I am hungry, I am tired, etc. 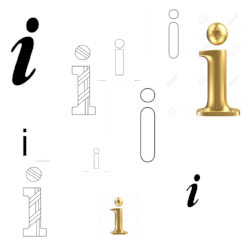 These “I’s”have nothing in common with one another and are unaware of each other, arising and vanishing for short periods of time. Each separate “I” will come to the surface depending on the situation we are in, or the emotions or sensations we find ourselves having. We think that we are one whole being because we go about our lives in this one body, but there are multiple sides to our being. This collection of “I’s” form what is usually referred to as our personality. The best example of how to explain this concept is to Imagine your inner life as a huge mansion, with many many rooms. Within each room lives one of the “I’s.” The I’s are separated by walls or buffers which do not allow the various I’s to interact or be aware of each other. One of the goals of the Fourth Way is to unify the many “I’s.” To break down the walls and have one unified being. When we have one unified “I” we can break out of the prison of our “walking sleep.” This Fourth Way is not for everyone. I’m not sure that it is for me, but I have been fascinated by it for several years, and I want to investigate it and grapple with it to see what the results are if any. Stay Tuned.